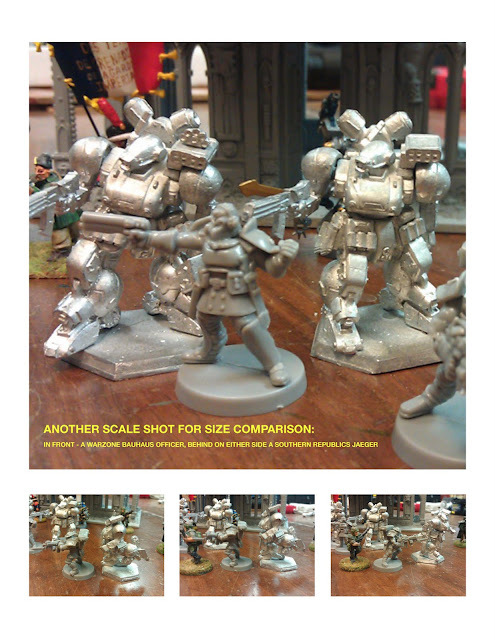 Okay, so we were discussing Heavy Gear figures and comparisons of the old RAFM 20mm scale Heavy Gear miniatures for use with 28mm figures for men in powered armor, robotic or cyborg battle armor, and the like. 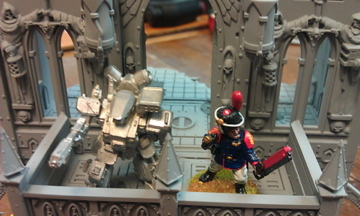 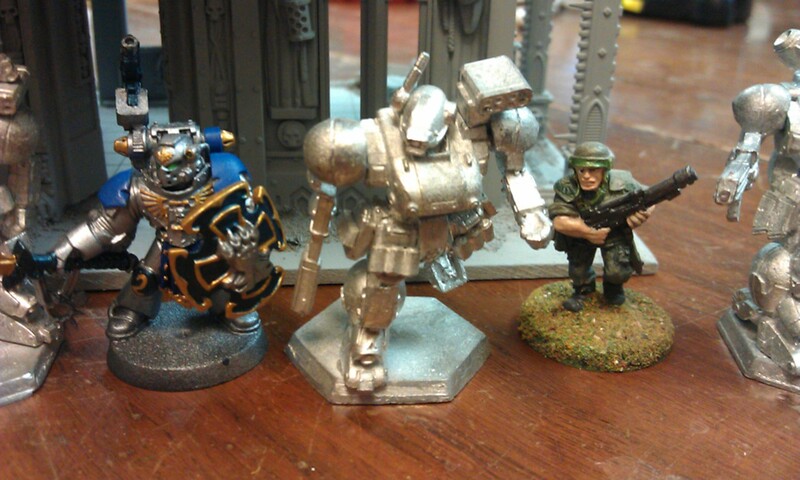 I offered to show him some for scale purposes posed with a variety of miniatures for scale. I dumped the photos into Pages, converted them to a PDF and then used Adobe to convert them to JPG formats for Blogger - a bit of a process, but I hope you enjoy and find it helpful! 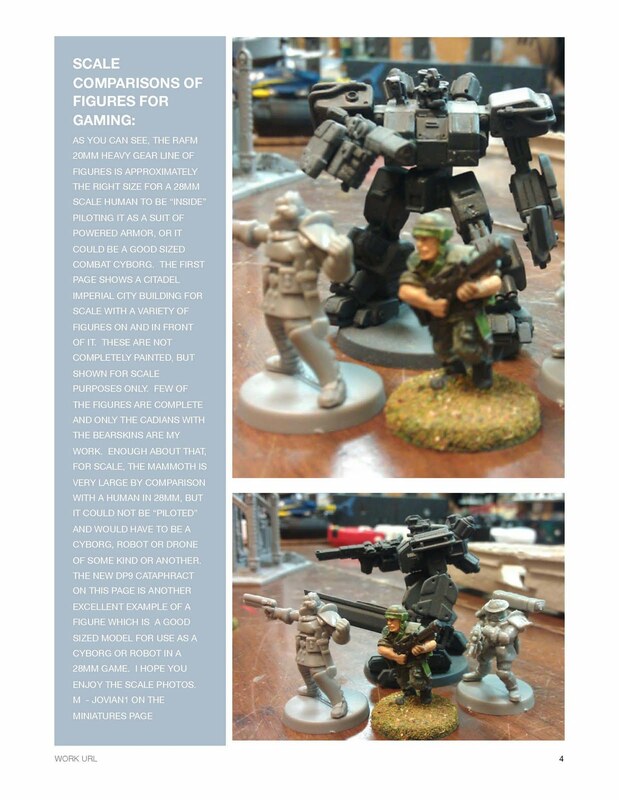 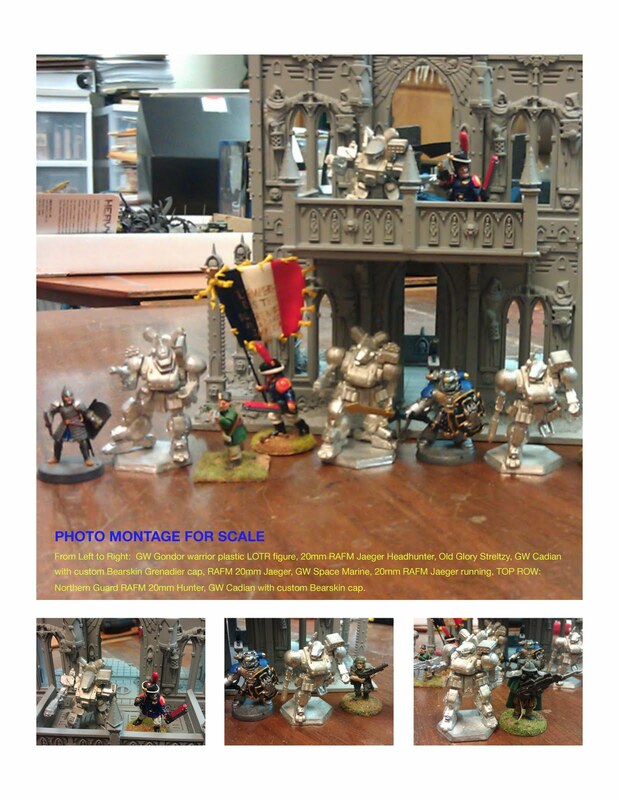 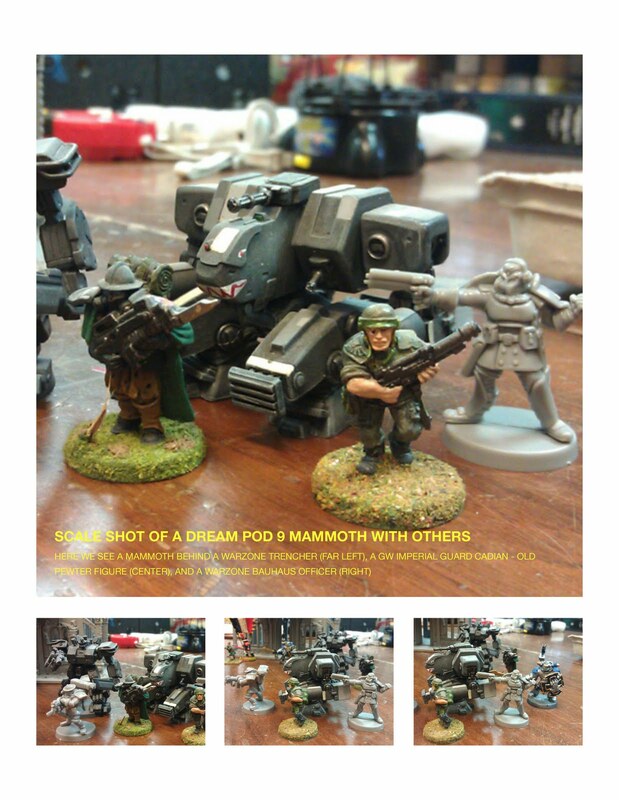 First up two raw photos of RAFM 20mm figures next to various GW, Warzone, and Old Glory figures.